Am working on the carbs now, trying to get them all attached and setup properly. Any pictures of detailed carb installation would be greatly appreciated as I don't know how these came out or how they looked before removal. Welcome to the CCF! Tell us where you are! Parts may be nearby. snow around the car you aren't in LA. by reading the shop manual. last year for quick show and lunch. Edited 1 time(s). Last edit at 04/01/2019 07:52AM by steve c goodman. Thanks Steve, good to know there's others in the area! Enjoying this build as it gives me something to do during the day. I have to stay home to care for my wife and don't get out at all. This beats the boredom! From the sunny California Central Coast. 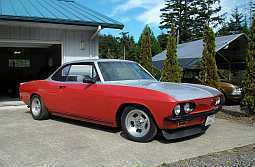 Welcome to the Corvair scene. I have a matching 65 to yours. White on white with a black dash. Hope you enjoy it. They are fun to drive. WELCOME TO CCF ! ! ! White convertibles with Rallye Wheels rule ! Per your original picture request...assuming you have a four carburetor 140HP motor. I know it's a wild guess but I'm guessing you didn't drive or push your car up onto those ramps. Right? > didn't tear it down! Just got rebuilt carbs back. > how they looked before removal. "Bought car completely disassembled and trying to figure out how to put back together." For $16.00 it is possible to purchase an "Assembly Manual" for your 1966 Corvair from Clark's Corvair. Their part number is C7316 and it is found on page 243B. Look at page 243B and it has a comprehensive list of what the manual includes as well as what it does not include. IF you happen to be unfamiliar enough with Corvair's that prior experience isn't enough, these manuals should be worth their weight in gold. I started taking apart and reassembling Corvair's back in 1973 but have not done much with them since 1999 until this past summer. For that reason, I bought an assembly manual for the 1965 basket case I am currently working on. Even if I don't need it, I am glad to have it...just in case. I love it! If possible come to our Tri State Meet next month in Alamosa Colorado. As Steve points out our RMC meeting is the first Friday of each month on S. Broadway Ave. at John Elway Chevrolet. And finally our national convention this year is in Chicago. 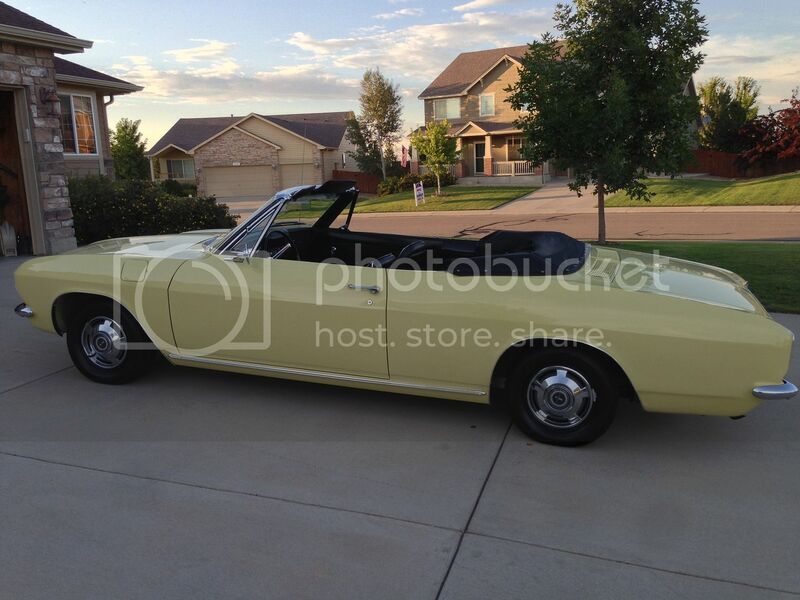 We will be driving our Corvair there from Durango. You will get loads from help from club members. More so if you join up. It looks like there is a quick shift kit under the Corsa shift boot. Best thing to do since this is your first resto is to stock up on tech literature. As pointed out, the factory assembly manual is a good place to start, as it tells you everything that Chevrolet did to the Fisher Body assembled body. There is also a Fisher Body manual that covers a lot of their activities on the body, and various accessory installation instructions for any options. I'd also visit any place that has parts cars. Not too many 'vairs in salvage yards these days, though. 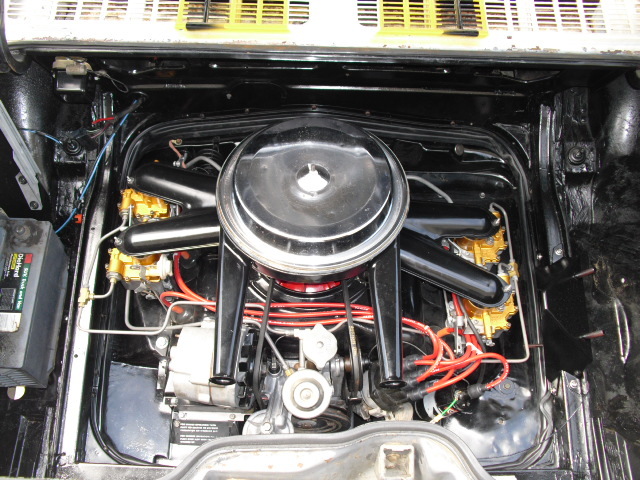 Also go to car shows and look around, especially on obviously stock original cars. And take pictures! Lots of pictures. 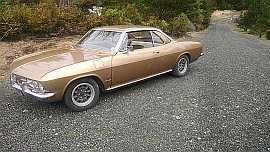 And don't be shy about asking questions of other Corvair people. Most of us are very willing to assist and educate. 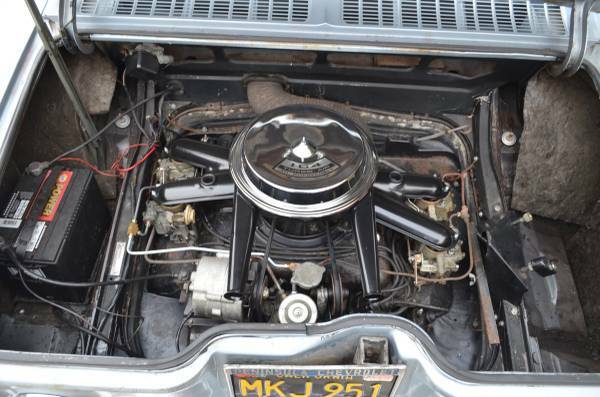 And occasionally remind yourself that the Corvair is one of the easiest cars to restore, as their assembly is relatively simple and parts are readily available. 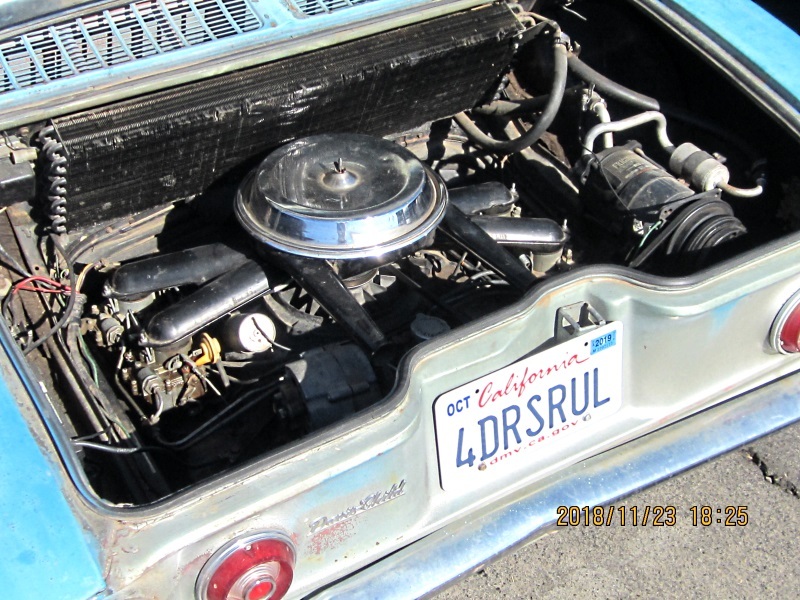 And above all, realize that you're doing it because you love either the work or the car, or both, as you'll never get rich restoring a Corvair for resale. The only way to do that is if you're restoring someone else's car! Welcome! I too am a Colorado native with minor wrenching experience, and the local club has been so helpful and encouraging. Do reach out as needed to keep both your project and spirits alive. Best of luck! I want to see you drive it off those ramps. Hi Rob. When I first look at or buy a late model vair, one of the first things I do is lye on my back inside of the car, turn on my flashlight and look up under the dash above the glove compartment and gauges, in the corners.